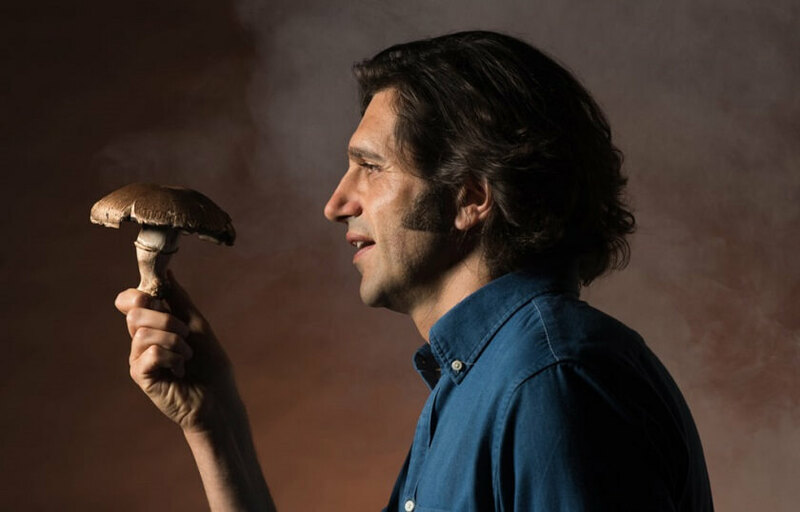 Inspired by a scientific study showing that hallucinogenic mushrooms may cure obsessive-compulsive disorder, Adam Strauss embarked on a program of vigilante psychopharmacology. By turns hilarious and harrowing, THE MUSHROOM CURE recounts the true-life story of Adam’s attempt to treat his debilitating OCD with psychedelics. This unique theatrical experience first ran in the Edinburgh Festival Fringe, garnering widespread acclaim before debuting at the New York International Fringe Festival, where it won the Overall Excellence Award for Solo Performance. After further development, it was presented for a 4-week run at The Cherry Lane Theater in the summer of 2016, followed by an 11-week run at the Marsh Theater in San Francisco. The show then moved to Theatre 80 St. Marks in New York, where it ran for over a year before closing in January.